Everyone who has an iPhone has heard of it – the virtual voice assistant Siri! By holding down the button we can ask Siri, for example, what the name of the Bulgarian president is, how tall the highest peak is or ask Siri to dial somebody. The software can also read our emails and set our alarms… as well as many other things. And so the man who is behind this invention is coming to Bulgaria. 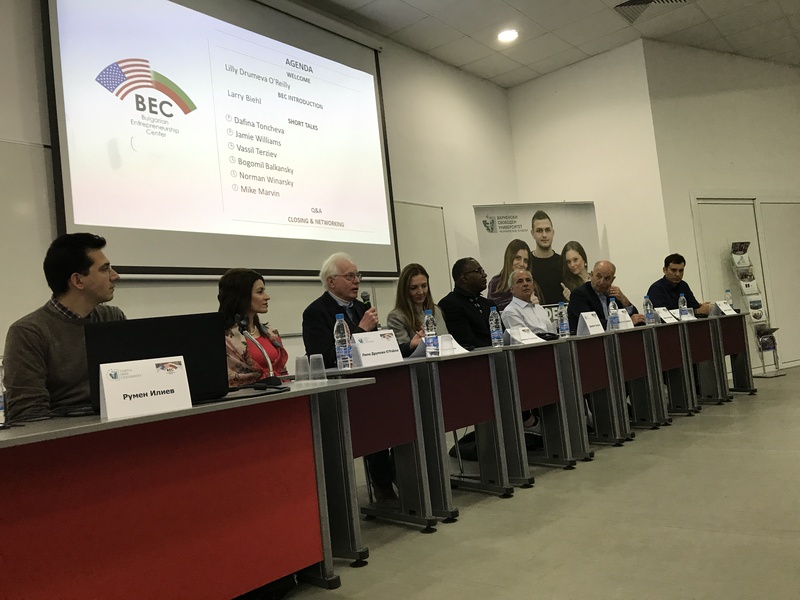 His name is Norman Winarsky and he has already visited Bulgaria as part of a delegation which was invited by the Bulgarian Entrepreneurship Center foundation. This time, the famous American professor will conduct a prestigious course in entrepreneurship between October 16 and 18 at the Sofia Tech Park. Norman Winarsky’s lectures are distinguished from other business courses by focusing exclusively on the steps that lead to creating and building breakthrough ventures. Much of the material is based on the book, “If You REALLY Want to Change the World; A Guide to Creating, Building, and Sustaining Breakthrough Ventures,” by Kressel and Winarsky, Boston: Harvard Business Review. This course is designed to provide you with a summary of entrepreneurial processes that have successfully created, developed, and sustained many breakthrough companies. We also want to help you develop your own ideas for a breakthrough venture. By “breakthrough” we mean ventures that have had lasting and positive impact, touching millions of lives. These ventures are based on technology and business models with impact on markets ranging from medical devices to small satellites to home robotics systems to clean water and more. The examples are based on the experiences of Norman Winarsky, Past President of SRI Ventures, and Henry Kressel, Partner Emeritus at Warburg Pincus. This is a compressed short course and is scheduled to meet on Tuesday, Wednesday and Thursday (October 16, 17 and 18). The class will meet from 9:00h to 17:00h. The place is Sofia Tech Park, 111B Tsarigradsko Shose Boulevard, Incubator Building, floor 1. Norman Winarsky works with entrepreneurs, startups, research institutes, and major companies to create breakthrough ventures. He is past President of SRI Ventures at SRI International, a world-leading research institute founded by Stanford University in 1946. He is considered a pioneer of artificial intelligence, natural language and computer vision, robotics and nanotechnologies. Winarsky created the virtual voice assistant Siri, which was spun out from SRI in January 2008 and acquired by Apple in April 2010. 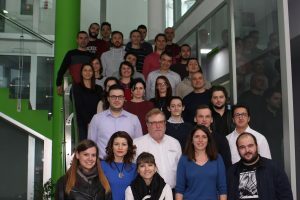 In 2015 a mission lead by leading IT entrepreneur Douglas Pica (Provitech) visited Bulgaria in order to hire IT specialists and to investigate the level and facilities providing education on the subject. In 2017 a group of top entrepreneurs from Silicon Valley visited Bulgaria in order to give motivational speeches, identify problem areas, offer solutions and advice and encourage entrepreneurship as a whole. Among the lecturers were: Norman Wynarsky (Siri), Michael Marvin (Map Info), Jamie Williams (American football star), Bogomil Balkanski (Google), Vassil Tersiev (Telerik) and Dafina Toncheva (US Venture Partners). Pragmatic Marketing – professional education for entrepreneurs in technology companies with top coaches from Silicon Valley. Between March 14-16, 2018, Sofia hosted the first Pragmatic Marketing event in Bulgaria. It was a 3 day educational program with leading mentors from Silicon Valley, which took place at Telerik Academy. The course was subsidized by InterCultural Foundation and BEC and attended by 30 selected participants from a broad range of industries. The course was geared to identifying your customer base and programatically marketing to them. The Pragmatic Marketing Experience is focused on Technology companies and entrepreneurs, who want like to improve their professional skills. It is the top educational course in this field with headquarters in Scottsdale, Arizona. 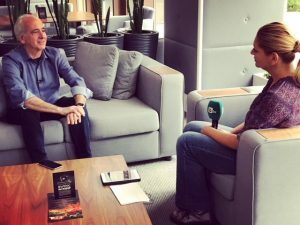 Numerous employees of Google, Amazon, Facebook and other famous companies integrate the “Pragmatic Marketing” model throughout their organisation. To date there are 100,000+ individuals trained in over 25 countries. Pragmatic marketing does not teach from theory, but from hands on experience. Mister Bogomil Balkansky, one of Google’s Vice Presidents, highly recommends the program. All his employees have completed it successfully. He was the reason why BEC chose Pragmatic Marketing to run a course in Bulgaria. The “Foundation” & “Focus and Market” was an intensive 3-day course. Each day finished with an exam and successful students received their certificates for completion at the end. Valuable reading materials from leading Stanford Professors were distributed during the course. The graduates are now part of the Pragmatic Marketing Alumni and continue to receive post training support from Pragmatic Marketing’s online alumni resource center and access to useful business contacts.